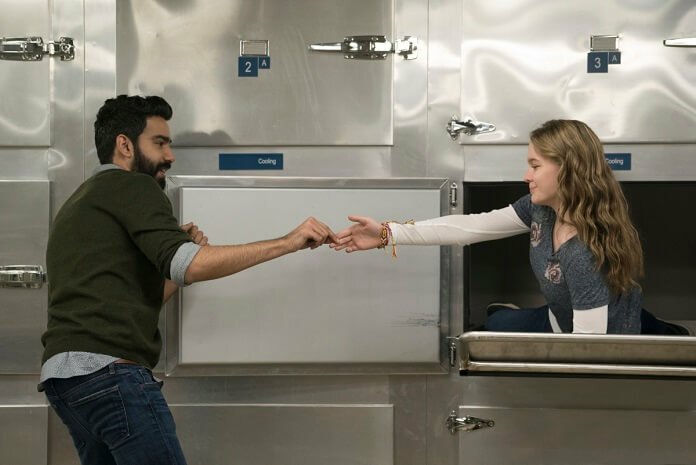 iZombie Season 4 Episode 9 Preview and Photos: "Mac-Liv-Moore"
The CW’s iZombie season four episode eight found Liv speaking as if she spends her free time at renaissance fairs after consuming the brain of a LARPer. Ravi was super into the whole LARPing thing, but for Clive a dead LARPer was his first excursion into the world of live action role playing. 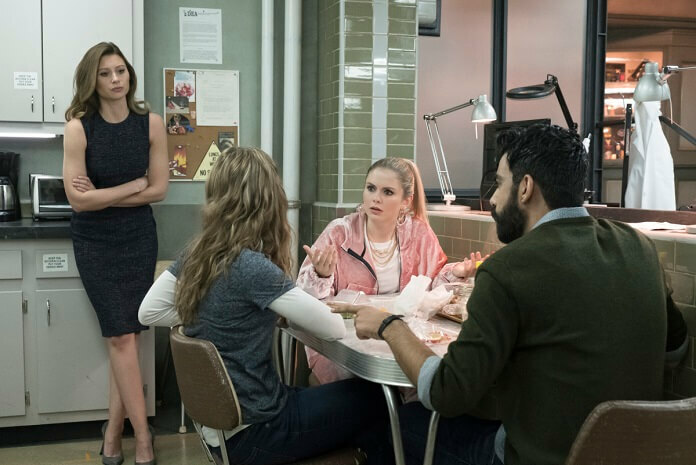 And picking up where episode seven left off, Liv was pleasantly surprised to learn Peyton not only understood why she wanted to help smuggle sick humans into Seattle, Peyton also wanted to be involved and help out the cause. Up next, season four episode nine titled “Mac-Liv-Moore.” The episode was directed by LL Hayter from a script by Talia Gonzalez and Bisanne Masoud. “Mac-Liv-Moore” will air on April 30, 2018 at 9pm ET/PT. 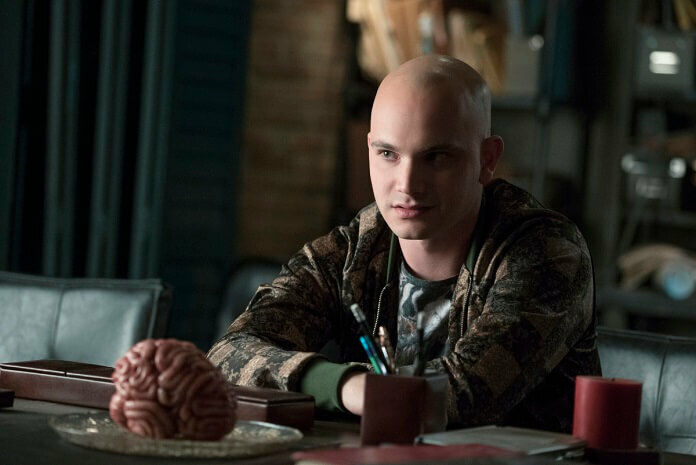 The “Mac-Liv-Moore” Plot: BUST A RHYME LIV — There’s a zombie serial killer on the loose and new Seattle is on lockdown. 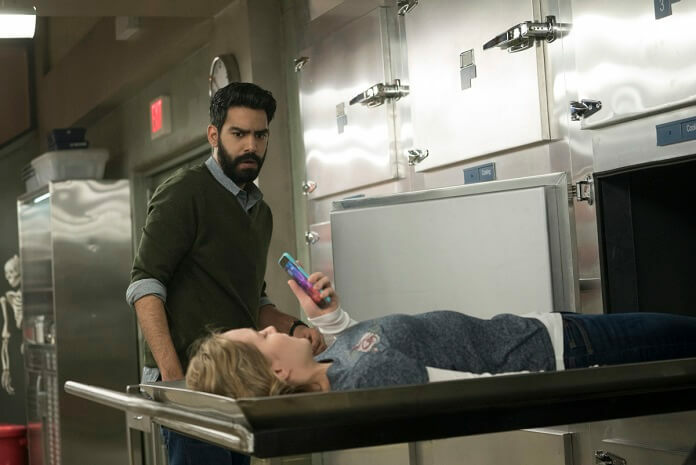 Liv (McIver) is trapped in the morgue on white rapper brain and Clive (Goodwin) and Ravi (Kohli) are playing Dungeons & Dragons. 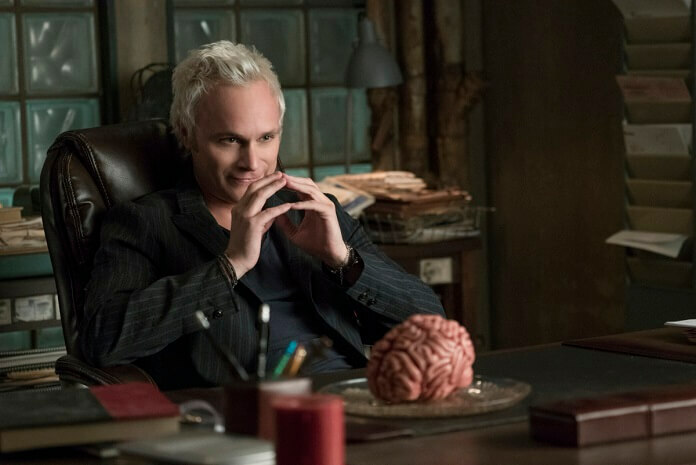 Meanwhile, Blaine (Anders) concocts his most sinister plan to date. Lastly, Major (Buckley) is on the hunt for the killer.